A UN war crimes tribunal is to announce its verdict in the case of Radovan Karadzic, the Serbs’ leader in Bosnia during the 1990s civil war. Arrested in 2008 accused of genocide, Karadzic insists he wasn’t complicit in atrocities like the Srebrenica massacre. 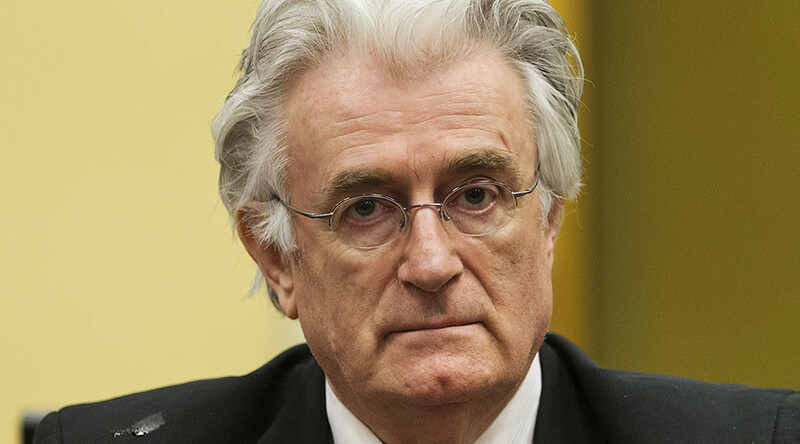 The International Criminal Tribunal for the former Yugoslavia (ICTY) indicted Karadzic on a total of 11 charges, including two counts of genocide, five counts of crimes against humanity, and four counts of violations of the laws or customs of war that were allegedly committed during the 1992-1995 conflict in Bosnia-Herzegovina. After an almost five-year trial, the verdict is one of the most anticipated in the history of the tribunal, which was established at the insistence of the US in 1993. Proponents of the court hope the decision will bring some closure to what was arguably the darkest chapter of the Balkans’ modern history. As the supreme commander of the Bosnian Serb Army at the time, Karadzic is accused of being responsible for numerous sniper and artillery attacks on the population of Bosnia’s capital, Sarajevo, during its 44-month siege. Karadzic is also accused of what is known as the Srebrenica massacre, in which Bosnian Serb forces allegedly murdered nearly 7,500 Muslim men and boys, according to Bosnian Muslims and Western governments. The Western media, which has dubbed Karadzic “The Butcher of Bosnia,” has hailed the trial, speculating that the ICTY will hand down a life sentence in the case – the harshest punishment available. Just rec'd 208 pages of exculpatory material in #Karadzic case from #ICTY prosecution this afternoon. Seriously, prosecutors? Meanwhile, Karadzic seems sure of his acquittal. “I know what I wanted, what I did, even what I dreamed of, and there is no reasonable court that would convict me, no matter how many high-ranking Bosnian Serb officials have been convicted,” he said. Karadzic is one of three high-profile Serb leaders to have been put on trial by the tribunal in The Hague. The trial of Bosnian Serb military chief, General Ratko Mladic, is still ongoing. Serbian president Slobodan Milosevic mysteriously died in the court’s custody on March 11, 2006, just before the completion of his four-year trial.